The Village by CA Paris, in partnership with ENGIE, is offering 15 European startups the opportunity to join its incubator in Paris at reduced cost for a period of 23 months. ENGIE and Le Village by CA Paris are seeking mature startups whose solutions have been finalized and which are in their commercial development phase. For foreign startups, an interest in breaking into the French market is required. Selected startups will be offered the opportunity to join the ecosystem of Le Village by CA Paris and a complete support structure focused on accelerating their startup’s business. One of the 5 pillars of the 3rd industrial revolution according to Jeremy Rifkin, energy efficiency can be defined as the capacity to minimize energy consumption while providing the same service. It is therefore closely linked to the fields of smart buildings, the smart city and smart transportation. In addition to the energy savings that can be achieved for individuals, companies and local authorities, energy efficiency also focuses on reducing the ecological and social costs linked to the production and transportation of energy. Wind, solar, biomass… The future of energy is in renewables. At the same time, consumers are increasingly becoming producers, which they can use or reinject into local or national networks. As a major producer of renewable energy, ENGIE is seeking solutions and business models related to the production, management and distribution of these forms of energy. A greener, smarter, safer city is everybody’s wish and the focus of many city planners, mayors, utilities, emergency and safety services. To maintain its global reach, ENGIE has created a worldwide business line for Decentralized Solutions for Cities and Regions to accelerate the development of integrated infrastructure, efficient services and smart digital solutions. ENGIE is looking for any innovative solutions that meet these challenges. 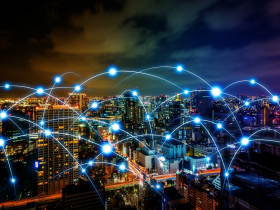 Mobility , a major challenge for smart city's development: with regards to ground-based transportation, we are still currently living in the era of the individual vehicle and the combustion engine. With access to city centers by polluting vehicles increasingly restricted, and issues of air pollution more generally being brought to light, we are increasingly being required to use less polluting modes of transportation. Vehicles themselves are being transformed through technological advances: hybrid motors, organic natural gas, hydrogen… Electric battery prices are going down while their technological performance is increasing. Finally, the Internet of Things and digital technologies are creating space for new use cases: carsharing, shared vehicles, renting out personal vehicles on a temporary basis… By analyzing the data collected through these technologies will enable cities to better manage transportation flows to avoid congestion in vehicle traffic and public transit. 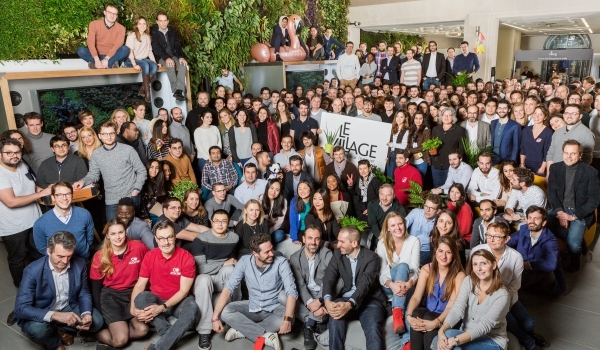 Le Village by CA: Founded by Crédit Agricole in 2014, Le Village by CA is a value-creating ecosystem and a startup incubator that supports high-potential projects. The first Village was created in Paris in 2014 and the network now has 20 Villages throughout France (Lille, Bordeaux, Orleans, Caen, St Brieuc, Nantes, Paris, Lyon, Toulouse). 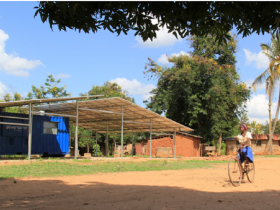 The Villages by CA network will include 27 villages by 2018. The Village has sites in major cities around the world (London, New York, Moscow, Shanghai, Seoul, Tokyo, Singapore ...) to help startups develop internationally. With state-of-the-art environments and locations in the heart of their respective regions, the startups in each Village by CA develop within a strong innovation ecosystem covering a multitude of private and public partners. ENGIE: As a major industrial player and supplier of utilities for more than 150 years, ENGIE is convinced that the energy world is undergoing a profound and lasting transformation. As such, the Group has set itself the goal of being the leader of the energy transition in Europe and is relying on innovation in particular to do so. This approach runs through all of the Group’s activities and turns good ideas into operational solutions to serve its customers. The Group has also changed how it is organized in order to foster entrepreneurial creativity and new tools and processes have been rolled out to ensure that innovation contributes to its development over the long term. Calls for projects are regularly launched for startups, who have already submitted almost 2,000 applications.